ARIES grille guards are engineered to give your truck that classic, aftermarket look while adding extra protection for the front end. They are available for a wide variety of pickup trucks, Jeeps and SUVs. Each one is built vehicle-specific, not just to eliminate drilling and speed up the installation, but because your truck deserves a custom fit. For those who dare to go even further, the ARIES Pro Series™ grille guard is unlike any other. Its patented crossbar houses an LED light bar and features an interchangeable cover plate to protect and add a custom look. The ARIES Pro Series™ grille guard is the ideal choice for LED light customization. It features a patented LED light bar housing in the crossbar, as well as an interchangeable light bar cover plate to add your own custom touch. All Pro Series™ grille guards are made for a custom fit on each truck, Jeep or SUV, installing with no drilling required. They are constructed from carbon steel for enhanced strength and are protected in a unique textured black powder coat finish. 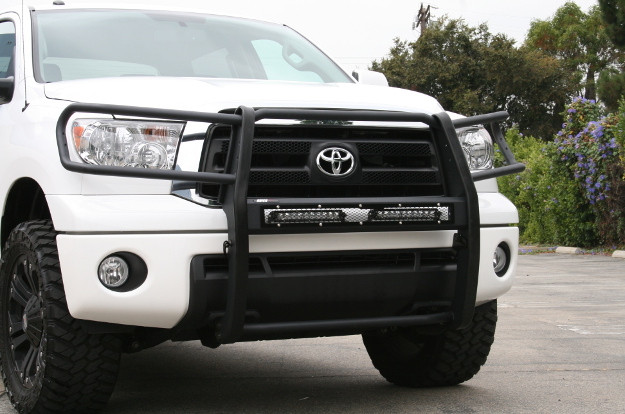 ARIES standard grille guards are the perfect accent for customizing the look of your truck, Jeep or SUV. Each is made with a custom, vehicle-specific design for seamless integration, and they are available in two finish options: black steel or polished stainless steel. 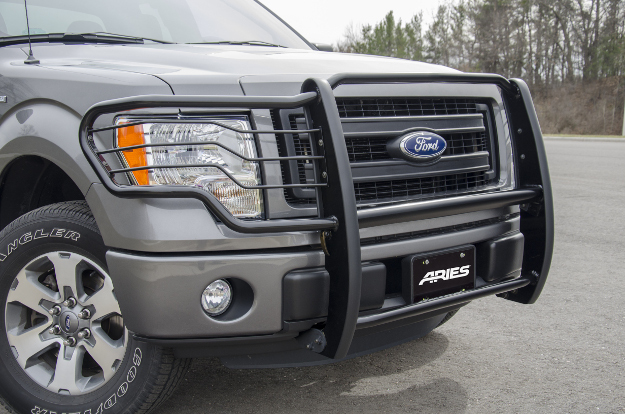 ARIES grille guards can also be customized using their pre-drilled center crossbar. These holes readily accept aftermarket LED lights, allowing you to light up the trail and upgrade the look of your truck.